Produced by Warner Animation Group, whose best films have been the snarky, self-aware Lego movies, and animated by Sony Pictures Imageworks, who worked on WAG's mediocre 2016 effort Storks, Smallfoot has a slick, anonymous style that seems designed to smooth out anything potentially distinctive or memorable. It features cute, inoffensive animal characters, a handful of bland, pop-style musical numbers and an easily digestible message about tolerance. The story briefly detours into some surprisingly dark territory, but it's mostly positive and uplifting, perfect for parents who want something tolerable and not particularly demanding to distract their kids for 90 minutes. Meechee is one of the yetis who inhabit a remote frozen mountain peak in an unnamed country, where the large, furry creatures have cut themselves off from human civilization below. The yetis' leader, the Stonekeeper (Common), perpetuates the myth that there's no such thing as a "smallfoot" (the yetis' word for humans), along with other stories designed to keep the village's inhabitants obedient and happy ("ignorance is bliss" is literally one of their commandments). 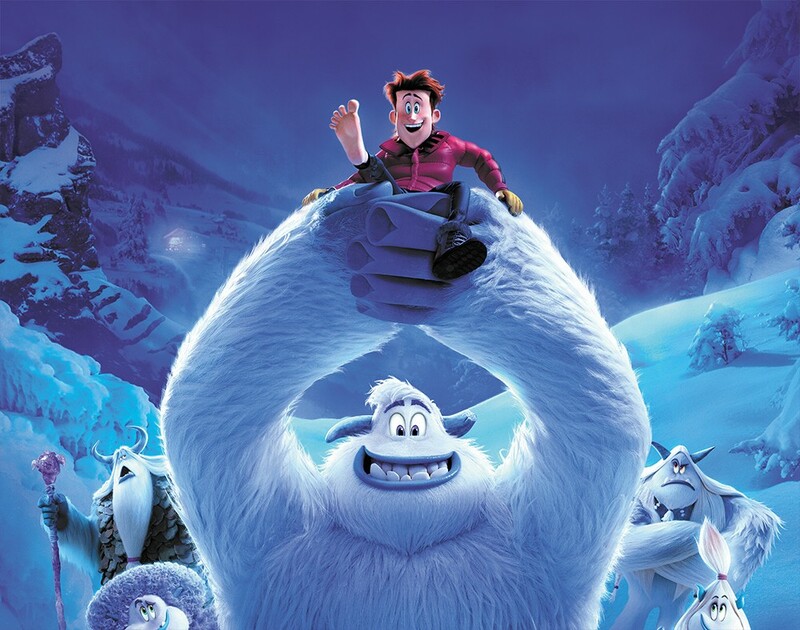 But when idealistic young yeti Migo (Channing Tatum) discovers an errant downed pilot, he's determined to prove to the rest of the yetis that smallfoot is real. That takes Migo on a journey to a town of humans, where he meets obnoxious TV nature-show host Percy Patterson (James Corden, putting his extensive experience as an obnoxious TV host to use), who is as dedicated to exposing the existence of yetis as Migo is to exposing the existence of humans. Percy's journey from fame-hungry narcissist to slightly less fame-hungry peacemaker isn't endearing or compelling, and the yeti characters (including fellow smallfoot believers voiced by Gina Rodriguez, LeBron James and Ely Henry) barely exhibit any personality. American Vandal's Jimmy Tatro gets the funniest lines as the Stonekeeper's dense but belligerent son, but the laughs are still fairly sparse. When the Stonekeeper shows Migo the true history of yeti/human relations, the movie turns remarkably bleak for a few minutes, but it quickly steps back from exploring the consequences of war and genocide (and perhaps inadvertently endorsing beliefs in conspiracy theories) into its generic, upbeat messages about respect and friendship. Upbeat messages about respect and friendship are perfectly fine for animated movies aimed at kids, but plenty of movies have conveyed those messages with more creativity and personality than Smallfoot, and with fewer annoying side characters. Director Karey Kirkpatrick (a veteran animation screenwriter and director) and co-writer Clare Sera spend a lot of time laying out the various rules and tasks of the yeti village, but the movie's world feels insular and limited, with little sense of how the yetis have lived or spent their time in all their years away from humans. The original print version of this article was headlined "Small Ambitions"